Dogs crave the taste of chicken. 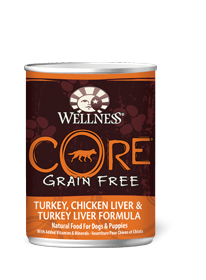 Give them 95% protein as a wet topper or a meat-stuffed meal with broccoli. Chicken, water sufficient for processing, broccoli, potassium chloride, cassia gum, xanthan gum, flaxseed, minerals (zinc amino acid chelate, iron amino acid chelate, copper amino acid chelate, manganese amino acid chelate, sodium selenite, cobalt amino acid chelate, potassium iodide), vitamins (vitamin e supplement, thiamine mononitrate, niacin supplement, d-calcium pantothenate, vitamin a supplement, riboflavin supplement, biotin, vitamin b12 supplement, pyridoxine hydrochloride, vitamin d3 supplement, folic acid), choline chloride. 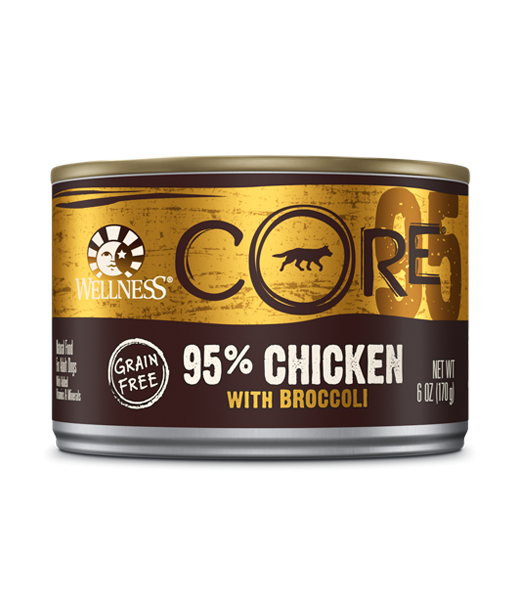 Wellness CORE 95% Chicken with Broccoli Dog Food is formulated to meet the nutritional levels established by the AAFCO Dog Food Nutrient Profiles for maintenance. 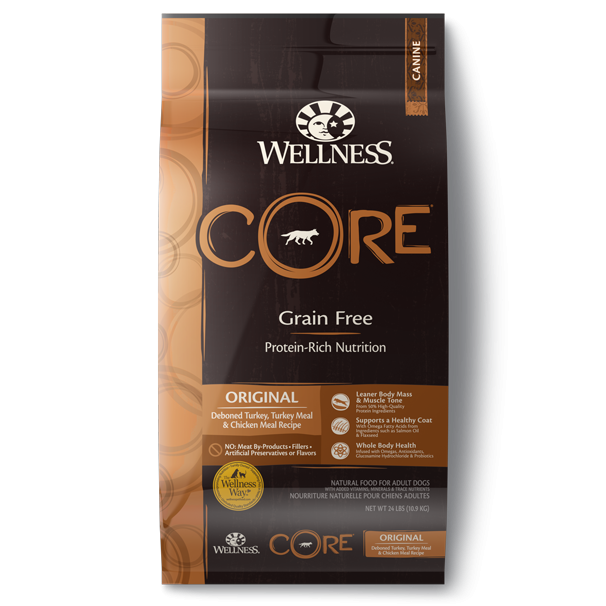 Adult: Feed 2 to 2 ½ cans per 15 lbs of body weight per day. Calorie Content: This food contains 1,335 kcal per kilogram or 227 kcal per can ME (metabolizable energy) on an as fed basis (calculated).